Revitalise & nourish your skin while you sleep with Papaya Glow. 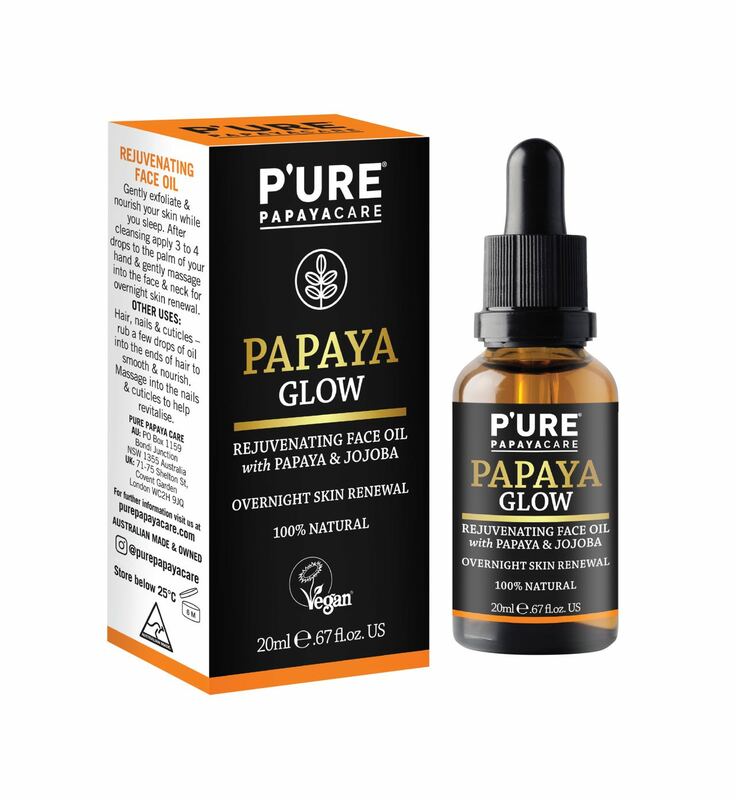 This light oil is made with Papaya Oil and Jojoba Oil. Papaya Oil is derived from the seeds of the Papaya Fruit. The seeds are rich in enzymes, omega fatty acids and vitamins to help nourish and gently renew your skin. Directions: Nourish your skin while you sleep. After cleansing apply 3 to 4 drops to the palm of your hand & gently massage into the face & neck. Other uses: Hair, nails & cuticles – rub a few drops of oil into the ends of hair to smooth & nourish. Massage into the nails & cuticles to help revitalise.